The Stockton family almost had it! 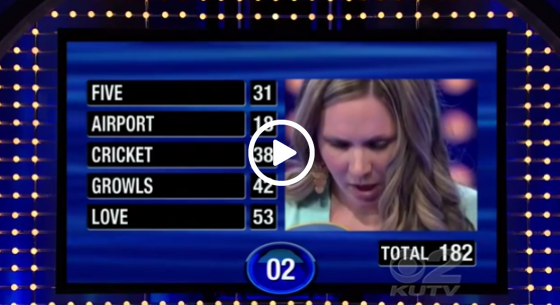 Anna Sass, the daughter of her teammate, just needed 18 points to win her family $20,000. Her father managed to get all the number one answers on the board totaling 182 points. It was a simple task, right? Well, apparently not. But what Anna did win was the number one spot in the worst Family Feud fail ever. Eerie Images Caught On Film That Just Might Be Scary Enough To Make You A Believer!